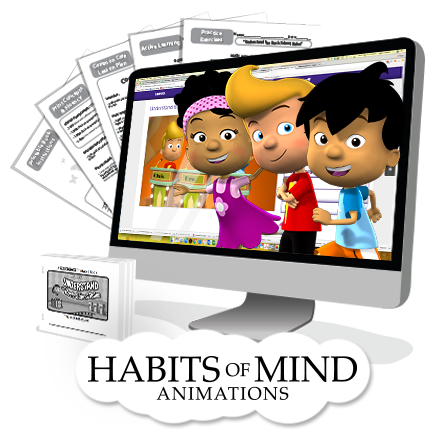 Habits of Mind Animations teach young children critical thinking and problem solving skills using engaging videos and activities. Designed for students Pre-K thru 2nd grade and includes: 16 Instructional Animations, 128 Printable Extension Lessons. Printed notebooks sold separately. Available for purchase through WonderGroveLearn HERE!